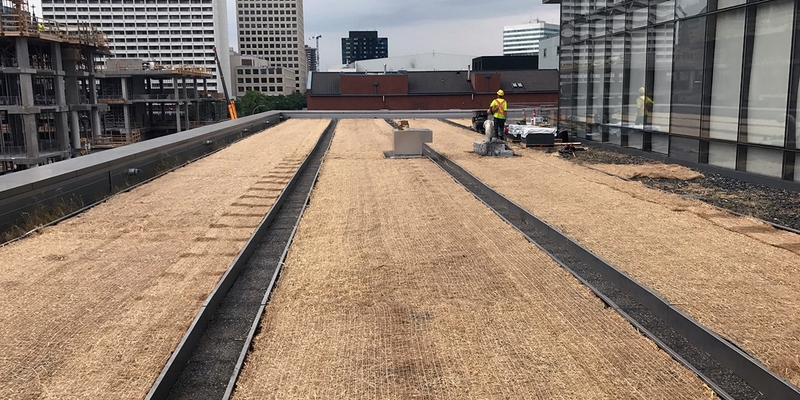 Scatliff + Miller + Murray (SMM) has been working with Manitoba Hydro to restore the green roofs of the Manitoba Hydro Place downtown headquarters. 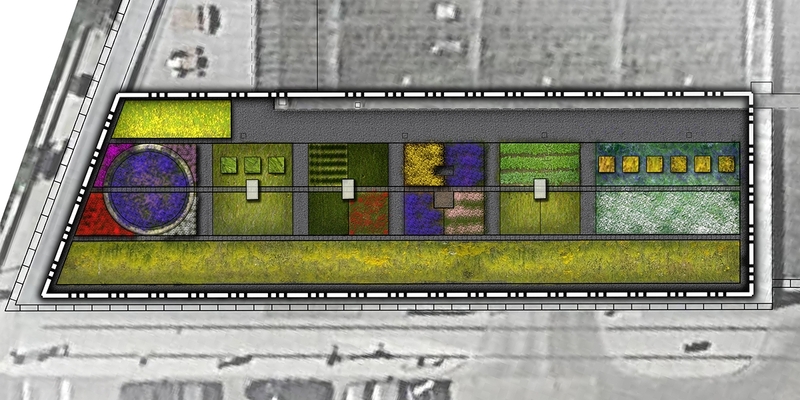 The project intends to address several concerns with the original green roofs including soil depth and composition, weed infestations and wind erosion. 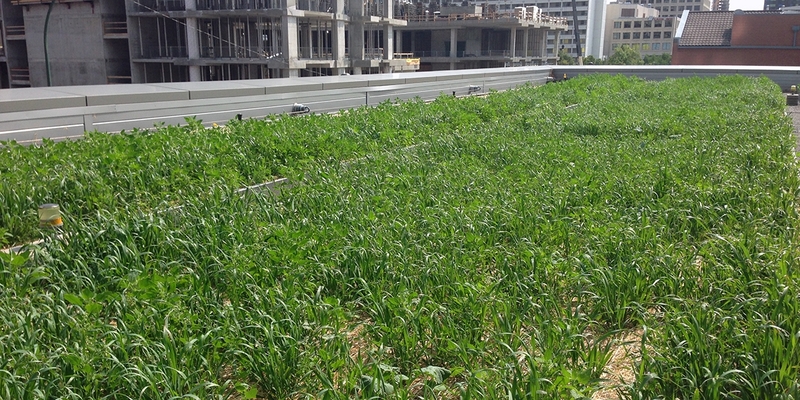 Starting in 2017, the pilot project will be implemented over the following years on the third floor roof to test soil mix, planting techniques and plant species that will inform the plant selection and installation methods planned for the remaining green roofs. Local native species of ecological and cultural importance. Since the spring of 2017, work has included augmenting existing soils with nutrient rich mineral topsoil, erosion control blanket placement, sowing of an annual cover crop and weed control through various integrated management strategies. Through the winter of 2017-2018, SMM will refine design elements and prepare for planting of the rooftop in the spring 2018.